Bass Guitar - (EPT) Excellence Private Training Sign up online today! PaSTOR D sign up today for private training (In-Home). We provide piano, guitar, bass, keyboard sequencing, voice, song writing lessons. Also audio & video production graphic design, website designing and ministry preparation & bible training. 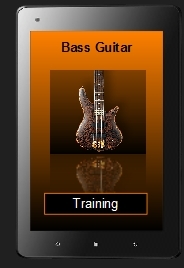 Bass guitar is the easiest of all electronic instruments to learn. Usually one note is played at a time, thus minimizing how many things you have to concentrate on. Bass guitar is played on 4 (Big!) strings. 5-string Bass guitar is presently the current standard after going through a season in adjusting to the big strings on a bass, it's smooth sailing from then on.